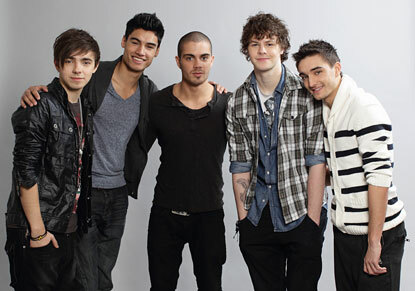 The recording for the band consisting of Siva Kaneswaren, Max George, Jay McGuiness, Nathan Sykes and Tom Parker proved inconvenient for residents of Los Angeles when equipment resulted in a blackout. After an electrical transformer they were using blew, the 'Glad You Came' stars were forced to apologize to those in the neighbourhood. A source told The Sun: "The lads went from door to door saying sorry to most of those whose nights had been ruined." The entertainers' tune has been chosen as the lead track on the 'Ice Age 4' soundtrack however people living in the area found it difficult to appreciate their situation when the band caused their lights to go out. The source added: "It was funny in a way but a load of the neighbours were ready to punch them - it was just the lads' manners that saved the day." The Wanted perform at America's Billboard Awards on Sunday where acts including Katy Perry, Justin Bieber, Usher, Kelly Clarkson and Nelly Furtado will be in attendance.